The iPhone you use is a complete social hub the email is an integral part of which. There are many issues which you can face when it comes to iPhone emails. There are many processes which you can apply to make sure that the problem you are facing is resolved. On the other hand, there are many problems for which there are different processes. The email related issues are very complex and technical in nature. It is therefore advised to get helping hand to get the work done. To fix iPhone email problems it is advised to follow the different processes mentioned below. The process is very easy which can get the problem resolved. It is therefore advised to follow the steps as follows to get the work done with ease. Tap Settings on the main interface of your iPhone. On the next screen tap on account and passwords. Tap on the email account which you want to configure. Tap the email address field to get going with the process. 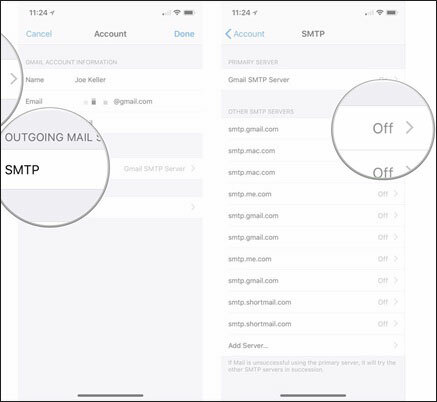 Tap SMTP server which is related to your email account to fix iPhone email problems. Enter your mailing password so that connection can be established. Slide the server to ON position to make sure that emails are downloaded. Tap “Done” finish the process in full. Note: It is highly advised to use the process under expert supervision. You might also need to tap into the advanced settings to get the work done properly. An iPhone expert is therefore necessary at your disposal. If you are facing the iPhone email problems time and again then it is advised to get the work done by deleting the account and reconfiguring it as per process above. The steps are mentioned as below. Open settings of your iPhone to begin the process. Hit accounts and passwords on the next screen. Click on the email account which is creating issues for you. 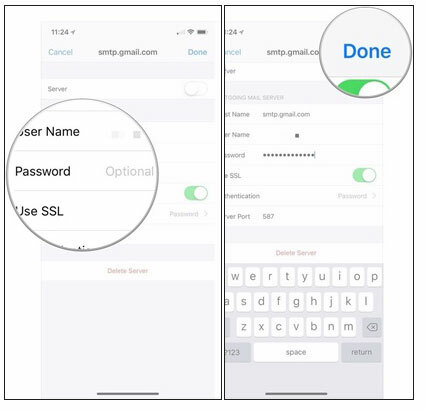 Tap Delete Account at the end of the screen as shown below to resolve iPhone email problems. Confirm the action by pressing the Delete account on the next screen to solve the issue in full. It is another problem which is not detected instantly and therefore can land you into issues. It could be for any reason. The most frequent one that is faced in this regard is the fact that your account has been suspended. Every email exchange offers maximum protection keeping in view the cybersecurity of yours. If this issue is faced in particular then you need to check the email by logging into your email address from your PC. You will definitely get to the root of iPhone email problems you are facing. 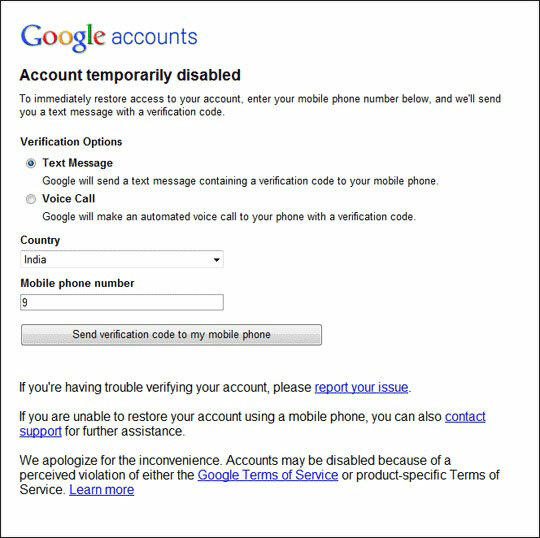 The error is not because your account has been banned permanently but the fact of the matter is that keeping in view your safety and security the email service provider has disabled it so that no one can access it unless you get it verified once more. Always remember that your emails are continuously synced with the server. 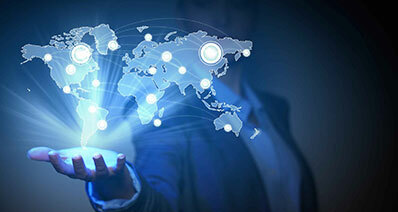 If you are facing the problem then there is a possibility that your email account is not being synced with the server. If this is the case then you won’t be able to perform any action. 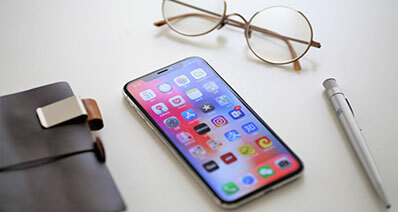 The simple solution to fix iPhone email problems related to this issue is to check the Wi-Fi connection over which the iPhone email account is being synced. 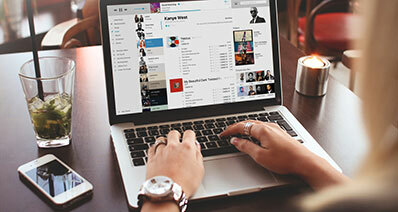 Once you check the Wi-Fi connection then you will also be able to resolve the problem which is related to the app update or any other internet related problems. The simple steps which you need to follow are as follows. Click on the settings app on your iPhone and then click the Wi-Fi. Tap the network which you use to connect to the email server. 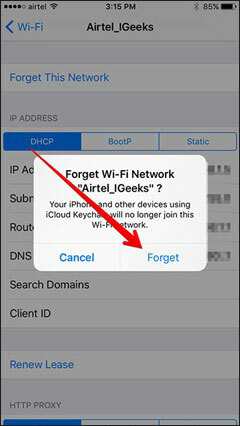 Tap on forget network tab as shown in the figure below. Confirm that you want to forget the network. Connect once again to fix iPhone email problems completely. 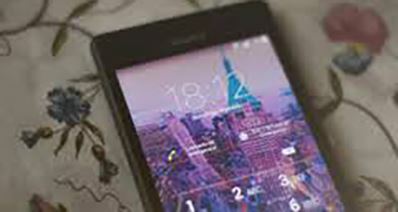 Note: In order to make sure that the problem is related to Wi-Fi is resolved it is advised to make sure that the connection is once again connected to. It will allow you to check the email account once again. If you are still facing the problem then you must contact your ISP. This is related to the iPhone email advance settings. 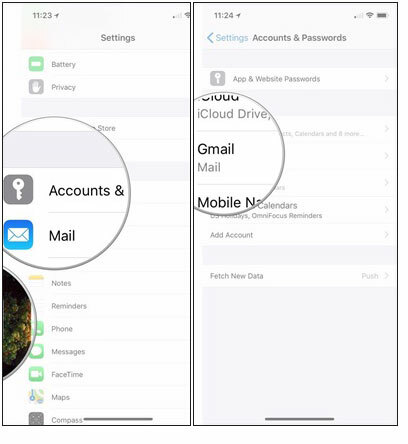 Follow the steps are under to fix iPhone email problems which are related to the POP or IMAP. Hit settings on the main iPhone page. Choose accounts and passwords. Tap on the account which is problematic. Tap on account at the top. Go to advanced settings. Check the IMAP settings to get the iPhone email problems resolved.